knottiecdbeb242a097ed6e, knottie76765a22d20a0cc3, knottie6fb999ccf68cfa84, knottie116ca5870426f842, knottied1328a377205a057 and 19 others were promoted to member. knottie0e2f07b480dd14a1, knottied3326147a5b6f359, knottie5457604de43358dc, amavesing111619, knottie00dce67bf8b58728 and 174 others joined. Re: Vow Renewal and Reception at 1 year? I don't see any reason why you couldn't have a great first anniversary celebration with whomever you'd like to invite, great food and music. And yes, you can send invitations. But as this is not your wedding, the boat has sailed on most of the trappings of a wedding, so you'll need to avoid having them at your event. 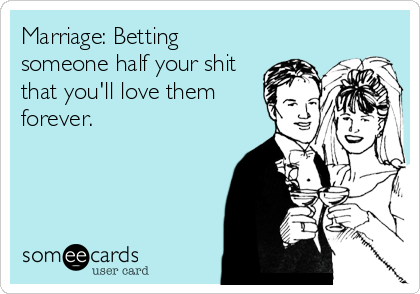 For example, I think you should not exchange vows at all. The ones from your wedding are still in effect, and a ceremony reenactment should be avoided. Also, while you can take photos with whomever you like, please don't dress as a bride and groom or refer to your photos as "proper wedding photos." Other things to avoid would be attendants, gift registries, and IMO a cake cutting. But if it's a vow renewal, why wouldn't we exchange vows? Because vows don't require renewing, especially after only a year. Honestly, a vow renewal at one year is ridiculous. Especially since you're trying to make the wedding you didn't have this year (not sure how it's "not being treated as a wedding" when there's going to be vows and a reception...). You and your husband chose to get married. You chose the wedding that you chose. You can try to blame other people for driving you to that decision but at the end of the day, YOU made the decision. You can't get married again without getting a divorce. Vow renewals are appropriate for like 25 or 50 year anniversaries. Or if something devastating has happened to you (actually devastating, like a life threatening illness or accident). If I were your friend or family member, even your best friend or sister, I'd be side-eyeing the hell out of this. You chose to get married, decided it wasn't good enough and are now going to try again. It doesn't work like that. I wish I'd written an impact statement for my murdered cousins years ago. I didn't. I don't get to call up the county and re-do the sentencing. My SIL wished she'd done a gender reveal. She doesn't get to erase the memory of everyone and announce that her daughter is a girl. My friend wishes she hadn't lost her virginity to her friend's boyfriend. Oh well. Some ships sail and don't come back around again. A vow renewal is not a wedding. While it's silly to renew your vows at a year, you can do it if you want. You can renew them every Saturday for the rest of your life if you want. It doesn't change the fact that you decided to get married privately. No matter how many parties or vow renewals you have, you are never going to be able to get that wedding photo with your grandmother because you decided to get married without your grandmother. There is absolutely nothing wrong with deciding to get married privately like you did. But when you made that decision, you should have considered that you'd be giving up the opportunity to celebrate your wedding with all your friends and family. No party now is going to change that. You're welcome to throw a big party any time you want. But if you think doing it is going to make up for regret about how you decided to get married, you're doing it for the wrong reasons and you are going to be disappointed. I think it's a little silly to do a vow renewal after just 1 year. Do an anniversary party instead. I guarantee the “truth will out.” Do not keep your marriage a secret, if that’s what you are implying by saying you “kept your actual marriage hush hush” . Do not throw a vow renewal in the guise of a wedding. Honestly, even a one year anniversary party seems a little silly. You made an adult decision to get married. That was your wedding. Unfortunately we don’t always get the things we want and some things can’t be repeated. A wedding is one of those things. OP, I actually do not think this is what you meant. I think you meant the wedding was hush-hush, at the time. But that everyone knows you all are married now. I realize there is some disappointment with how your all's wedding went. But it sounds like you all are trying to make this anniversary party/vow renewal your "redo" wedding. If that is most of the reason behind this party, I don't think it's going to achieve what you all want it to. The actual wedding will always be on a much smaller scope than what you all had envisioned. And that's okay! Few major events in life live up to what we "envisioned" them to be. But an event that "mimics" what you wanted it to be, won't change the reality. With that said, if you're overall happy with the wedding the way it was. And now want to have a big anniversary party to celebrate with friends and family, there's nothing wrong with that. I agree with the other PP's, though, that a vow renewal would be silly*. I mean, it doesn't hurt anyone if you all want to do it anyway, but I think most people would find it weird and even AWish. What you could do instead is, at some point in the party...perhaps as dessert is being served, each of you can raise a toast that thanks your guests. Along with a few sentences for the other person. *I want to explain why, rather than just rain on your parade . A vow renewal at a 25-year anniversary is meaningful because 25 years is going to have a lot of ups and downs for anyone. But here is the couple, still together, in essence stating that they wouldn't change a thing and would pick each other all over again. And, hey!, I think this is a great sentiment to have with one's SO no matter what the anniversary number is. But to declare it in a public vow renewal after a relatively short period of time is odd and over the top. I’m a little less harsh on the “vows don’t need renewing after a year” than others on here. I think if you have a strong reason for needing to make vows to your husband/wife again, then go ahead and do that. But if you’re doing it just because you want pictures or you feel you didn’t get the party you wanted, then I would suggest thinking carefully about why that matters so much and if you truly want the expense of planning a VR just for pictures/a party. Vows are important commitments people make to one another and I don’t think renewing them is something to take lightly. If you feel strongly about wanting/bedding to renew, make sure everyone knows it’s a renewal (don’t try and pretend it’s a wedding since you already did that), and make sure you host everyone properly. Hi OP, this might be late but I felt really bad for you after reading all these super harsh replies and wanted to include my own opinion. I'm doing something kind of similar this year with my husband. We got eloped last November after dating for over 3 years (ceremony was just the two of us at a small Inn, but everyone in our families new it was happening) because we wanted to get immigration paperwork started instead of waiting an extra year for a big wedding to get that ball rolling. We also wanted to celebrate with all our friends and family though! So this year, we're having another wedding. My father really wanted to walk me down an aisle, so we're going to do a short vow renewal ceremony. Kind of like "hey I know it hasn't been very long but I still love you and want all these important people to know and be involved." There's a reception, a wedding party, official photos, and everything a wedding would have. Not a single person in my life "side-eyed" this decision, in fact they're all looking forward to a chance to celebrate and party and they were a big part in our choice to do this. Everyone's situation is different and if this is something you want to do, and you feel like your friends and family want to do it too, then go for it!! No judgement from over here. Celebrate!! These are not "super harsh" replies. The OP asked whether her idea was "weird" to make a "big deal" out of a one year milestone. The consensus was overwhelmingly "yes". A sensible anniversary party was recommended. You can't have "another wedding" unless you remarry. You can celebrate any time with anyone. To be honest, an entire wedding, complete with wedding party, in my opinion, is silly. Your dad isn't "giving you away" because you've been "gone and married" for a year. Friends and family will never be completely honest about some things to spare your feelings. But you do you. I don't believe in vow renewals, so I will let others speak to that issue, but why not have a big first anniversary party? Call it what it is, invite all your friends and family, buy an awesome party dress, hire a band and caterer, and just have fun! People will come because who doesn't love a good party without all the pressure of a wedding? There were a lot of quotation marks in that reply for some reason. I was just offering my own opinion because it differed. I suppose only the people involved can know for sure what's appropriate or not. In my case, we have family in two different countries who all wanted to go to a wedding. So we're throwing a wedding. Maybe what I said doesn't apply to OP, in which case she can ignore what I said. Your family wants to go watch you pretend to get married a second time knowing they missed the real thing? You're not throwing a second wedding. Unless you're getting divorced, you're throwing one wedding and one play act.